I wrote this poem years ago, dedicated to my younger brothers and sister, now departed. Desperate for love, wounded by the world, she shuts down. Lord, can you rescue her? Save her from despair? Fearful and alone, he’s anxious for his end. Lord, can You hear me? I’m crying out to you. Where can they seek you? How will they know? When will you draw them? How far will you go? Crying out into the darkness Lord; please bow your ear to me. Poignant. I love you, too, Laura with all my heart. How painful it must have been for them to live through, and for you to watch. I saw them each before they died except my youngest brother Billy. 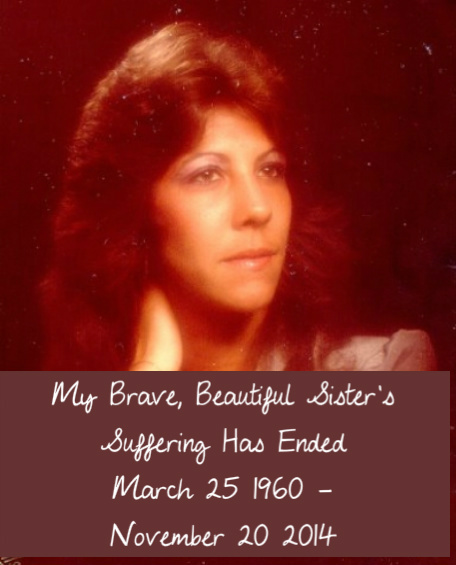 Cancer ravaged my brother, Bobby, and sister, Kathy’s bodies. Grief comes in waves. I lost my whole core family. Sometimes, I wish I could pick up the phone and call one of them. Who knows you better than your parents and siblings. Thank you, Peggy for you empathy.